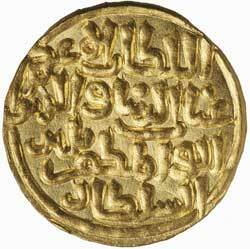 SULTANS OF DELHI, Ghiyath al-din Balban, (A.H. 664-686, A.D. 1266-1287), gold tanka, Hadrat Dehli Mint, (10.98 g), A.H.679 (1280-1281), (G&G D155). 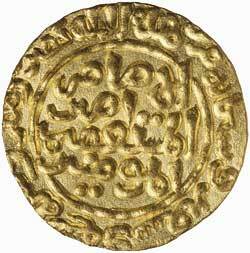 Extremely fine, as struck and scarce. Ex Dr V.J.A. Flynn Collection and Baldwin's Auction Sale 53, 25 September 2007, (lot 1568).